A tragic accident in Oldham County, Kentucky, occurred over the weekend involving a car and pickup truck near the intersection of Hwy 53 and Old Sligo Road. This accident resulted in the injury of individuals and the deaths of 18 year old Ben Clifford and 19 year old Haley O’Kelley. A fatal accident occurred Saturday in Breckenridge County, Kentucky. This crash happened on US 60 when a truck crossed the center line of traffic and hit another vehicle head-on. James Dupin, age 43, died at the scene of the accident from the injuries he sustained when the truck came into his lane traffic. Alcohol is a suspected factor in this fatal crash. The family of James Dupin, will be able to bring a Kentucky Wrongful Death legal claim against the driver of the vehicle that killed Mr. Dupin. Additionally, if alcohol is proven to be a factor, the driver of the at-fault truck will be criminally prosecuted also. Anytime alcohol is a factor in a motor vehicle crash, the family of the victim needs to have an investigation performed into where the drunk driver had been drinking. Under Kentucky law, if the drunk driver was drinking at a bar or restaurant prior to et accident, the victim could bring a Kentucky Dram Shop legal action against that business for over-serving the drink driver. This type of legal claim will help afford the victim or their family more financial reimbursement and compensation for the accident and helps to punish bars and restaurants for over-serving drinkers, putting their profits over the safety of the community. A fatal crash occurred in Laurel County, Kentucky on Ky 1956, when a driver heading westbound left the roadway and then overcorrected into the lane of on-coming traffic, colliding with an SUV. The driver of the SUV, Polly Brock, was flown to UK hospital with serious injuries. A passenger in the SUV, Trina Angel, age 40, died from the injuries she sustained. Ms. Brock will be able to bring a Kentucky Personal Injury legal claim related to this crash, and the family of Trina Angel, will be able to bring a Kentucky Wrongful Death legal claim. Due to the extent of the injuries and the young age of the woman killed, this legal matter will involve complex insurance coverage issues to try to assure that there is as much insurance coverage as possible to afford the victims and their families as much legal compensation as possible. Information about these types of legal claims can be found at the Ackerson law Offices’ website (www.kyfirm.com). 24 year old Ryann Tewell, an employee of Humana and resident of Louisville, was struck and killed by a cement truck Thursday morning as she was crossing Main Street. This tragic accident happened around 7:45 a.m. as Ms. Tewell was crossing Main Street and an Advanced Ready Mix cement truck, traveling westbound on Main Street, was attempting to make a right turn onto the Clark Memorial Bridge. Ms. Tewell was pronounced deceased at the scene of the accident. Pedestrians have legal rights when it comes to crossing roadways, and drivers of vehicles owe pedestrians a duty to be on the look out for them as they operate their motor vehicles. Ms. Tewell’s family will be able to bring a Kentucky Wrongful Death claim related to this tragic accident, wherein the family and the Estate of Ryann Tewell can seek civil legal damages related to this accident, which can help the family with their loss and seek to punish any persons who bear some fault for this tragedy occurring. 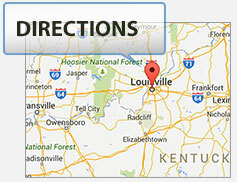 Information about Kentucky Wrongful Death Claims can be obtained from the Ackerson Law Offices. (www.kyfirm.com). Jarid Patterson, age 40, of Richmond, Kentucky, died from injuries he sustained in a crash involving a moped he was driving and a motor vehicle. This fatal Kentucky crash happened in Madison County on Jacks Creek Road around 3:00 p.m. Tuesday. Initial reports indicate that Patterson was not wearing a helmet and attempted to turn into the path of the on-coming vehicle, but a post by Sarah Blackford, states that the helmet was worn and was with Patterson at the hospital where he was pronounced dead. Mr. Patterson had been taken from the scene of the crash to UK Hospital. 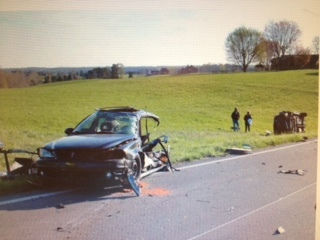 Ms. Blackford reports that the vehicle that collided with Mr. Patterson’s moped crossed the center line of traffic. If Ms. Patterson is correct, then the Estate of Mr. Patterson will be entitled to bring a Kentucky Wrongful Death Claim against the driver of the vehicle that struck him and caused his death. The legal questions related to fault of this accident are complicated may end up being an apportionment of fault situation where legally both parties bear some degree of fault. Under Kentucky law, even if a person bears some percentage of fault for an accident, they can still legally recovery from the other party and the other party’s insurance company a percentage of the damages they have suffered from the accident. In cases of percentage of fault being assigned to multiple parties, the legal arguments become complicated and litigation is usually required to reach a settlement of the case. In the two vehicle crash Thursday Morning, as reported (previous report), in Russell County, Kentucky, involved five people. The two people killed in the crash were identified as Bacilio Salamanca and Jose Otanendi. Two others were also seriously injured and are in critical condition at UK Hospital. They are Jose Hernandez and Angel Solis. Posted by the Ackerson Law Offices (www.kyfirm.com). A driver driving in the wrong lane died from injuries he sustained in a crash of the Greenbelt Highway in Louisville, Kentucky. Tragically he also caused the death of a 17 year old teenage girl, with who he crashed his vehicle into. Ellissa Greenwell was driving a SUV in the proper lane of traffic when she was hit by the male driver. Ms. Greenwell was taken from the scene of the crash to the hospital where she later died. Alcohol is believed to be a factor in this crash. This tragic drunk driving accident should not go unpunished. Even though the at-fault driver was killed in the accident, and thus no criminal charges will be levied, the family of the deceased can seek to use the civil justice system to file a civil Wrongful Death Suit against the driver of the vehicle’s estate, the insurance companies involved, and use the case to seek to determine if the drunk driver had been over-served at a business prior to the accident. If over-service of alcohol was a factor, then the business which did such can be sued under Kentucky Dram Shop laws and penalized for putting profits over safety, which resulted in the loss of life. A tragic auto accident occurred Thursday morning around 6:30 a.m. in Russell County, Kentucky. This was a two vehicle accident that occurred on Highway 80 near Russell Springs. The drivers of both vehicles died from the injuries sustained from the crash. Accident re-constructionists are on the scene trying to determine the cause of the wreck and what happened. Once fault is determined, the family of the not-at-fault driver will be able to levy a Kentucky Wrongful Death Claim against the at-fault driver’s estate and the insurance company which insured the at-fault vehicle. In serious auto accidents it’s important to take legal action quickly in order to preserve evidence related to the crash, including subpoenaing the cell phone records of the at-fault driver to determine if usage of texting or phone calls were a cause in the accident. To subpoena records, a formal lawsuit must be filed to empower such a subpoena to be issued. Most cell phone companies only retain cell phone and text records for a very brief time. As such time is a factor in filing litigation quickly in order to obtain such records before they get deleted/destroyed. It is illegal in Kentucky to text and drive. If a driver involved in an accident is found to have been texting at the time of the accident, then that driver would be legally per se negligent in causing the accident, and such a legal finding substantially helps the victims or their families pursue civil justice.